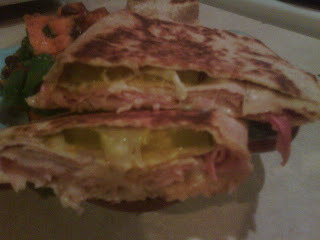 Heat a non-stick pan over low heat. Spray with cooking spray and place tortilla on pan (so only half is being heated). 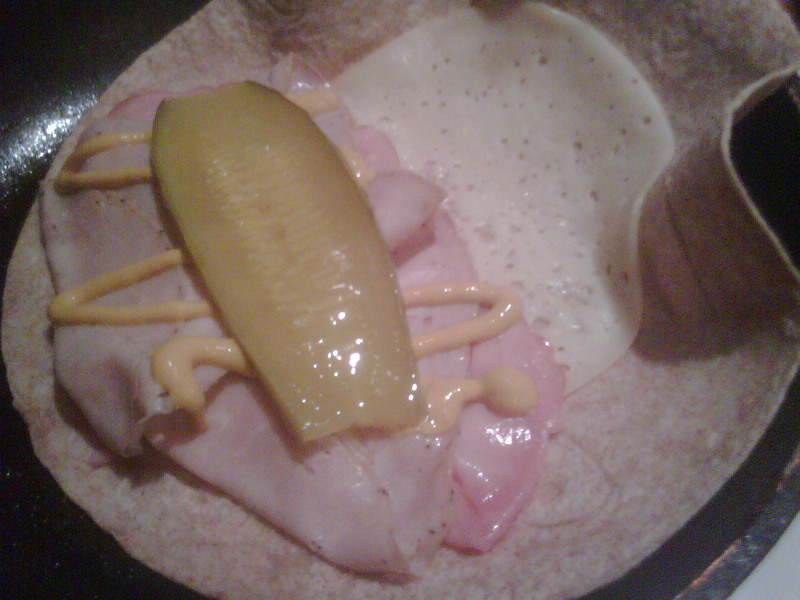 On half of the tortilla, place a piece of cheese, pork, ham, pickle and mustard. When cheese is melted, fold the quesadilla in half and flip to heat other side.